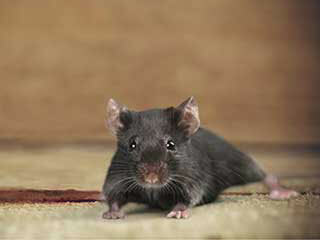 Mice and rats are very persistent creatures that can present many dangers to a place of work or residence. Our team can handle this problem for you. We provide affordable and humane services when dealing with these animals. Rodents are frequently searching for nesting spaces. They like to chew and nibble through clothes, paper, wires and other materials they may come across. They also like to look for food and may get inside kitchen cupboards if they're motivated enough to try. Not only will these creatures attempt to steal food, they also pose a risk to humans by carrying disease and bacteria. Unfortunately, rodents simply will not want to leave unless forced. They can be very hard to remove completely and can multiply rapidly – female rats can give birth to more than fifty offspring in a year! Our team specializes in removing these animals in a humane way. Regardless of the problems these pests present, we make sure our solutions are safe and cruelty-free. We don’t use any harmful poisons or chemicals because we don’t want to put you or those around you at risk. We also want to deal with the animals in a humane way.During a property visit, we'll search the premises thoroughly; we'll capture the rodents using special instruments and remove them from your residence. Pest infestations are often preventable. If you want to prevent mice or rats from coming into your home or office, our team can help. We provide solutions to close up any holes or cracks in the walls, so that rodents can’t find their way in. It may not always be easy or obvious to search for these holes, but you can count on our experienced team to ensure every opening gets covered. If you have a rodent problem in your home or place of work, or simply want to take preventative measures to avoid an infestation, our team at Attic Cleaning Glendale can help you resolve these issues. Get in touch today!